At House of Hope, we pride ourselves on offering nutritious options and fresh produce in all four of our Client Choice food pantries. 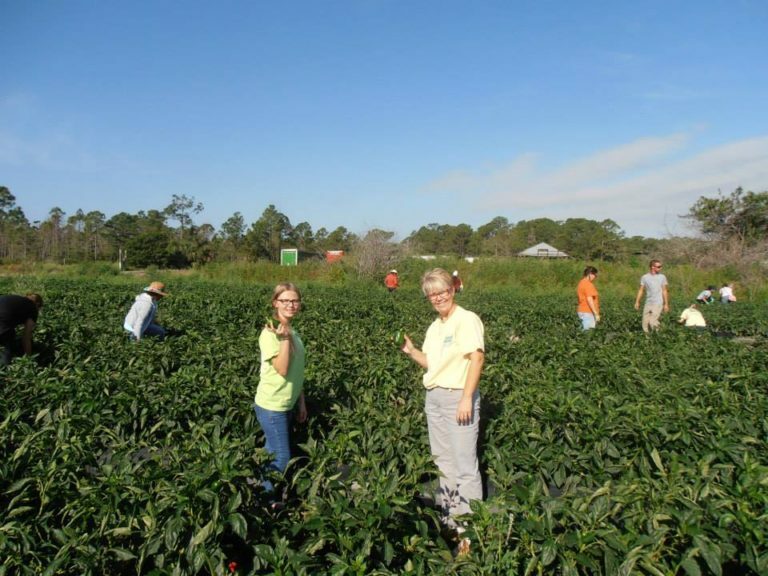 One of the ways we secure produce is by participating in gleaning during the winter and spring months through a partnership with CROS Ministries. Gleaning is harvesting the produce remaining after a field has been professionally picked. This produce is considered below market grade which means it might be smaller or larger than what supermarkets consider “shelf-worthy” but it is still just as nutritious! Once harvested, the produce is distributed to our pantries instead of being plowed back into the soil. Without volunteers, we are unable to participate and we need all the help we can get! This is a great event for groups and families as children 5 and up are welcome to participate. You must pre-register to participate! For questions or more information, contact Lauren Mustelier, volunteer manager, at (772) 286-4673 ext. 1004 or by emailing Lauren@hohmartin.org. Please note: There are no absolute guarantees that you will be able to glean on the day that you have chosen. You, like the farmers, are depending on the weather and growing conditions of the season. Regrettably, dry or wet weather may affect the availability and condition of the produce. Rain on the day of or the days immediately preceding the planned gleaning may cause the field to be too wet for vehicles to access the field or even for people by foot. It is a good idea to have one or two rain dates in mind, so we can reschedule if you are unable to glean on the planned date. You must pre-register to participate! If you have questions or would like to register for gleaning, use our convenient sign up form by clicking here. 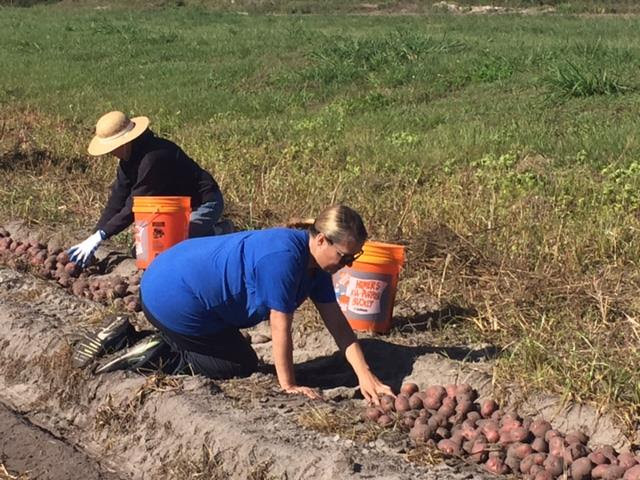 Every gleaner must fill out a Gleaning Form at the start of the event for each glean in which they participate. Closed toes shoes are MANDATORY! When gleaning, remember you are on another person’s property. Treat it better than your own property. (Make sure you are not leaving water bottles, candy wrappers, etc.). We are guests, please don’t abuse the privilege, or we may lose it. In the field the field supervisor is in charge. Follow his/her instructions and directions completely. They are there to protect your safety, the safety of the produce and to protect the property owner’s interest. The field supervisor can cancel a glean at any time if he/she feels the rules are not being followed. Safety is of utmost important in gleaning. If any activity is questionable do not do it. Such safety practices include: Do not climb trees/fences. Do not ride on the back of moving vehicles. Stay away from farm machinery, canals and roadways. Bathroom facilities are unavailable in most gleaning fields; it is advisable to use the bathroom prior to coming to the field. It is recommended that all gleaners wear gloves and hats in the field, apply sunscreen and have bug spray handy in case insects are an issue. It is often good to dress in layers. In the morning it is likely to be cold and damp, wearing a log sleeve shirt and long pants are recommended. As it gets warmer another layer of shorts and short sleeve shirt may be better. In cornfields and orchards, long sleeve shirts and pants are needed. Leaves from the corn stalks are sharp and can cut the skin. Mangoes are also a member of the poison ivy family, long sleeves and pants help protect against contact with the sap.